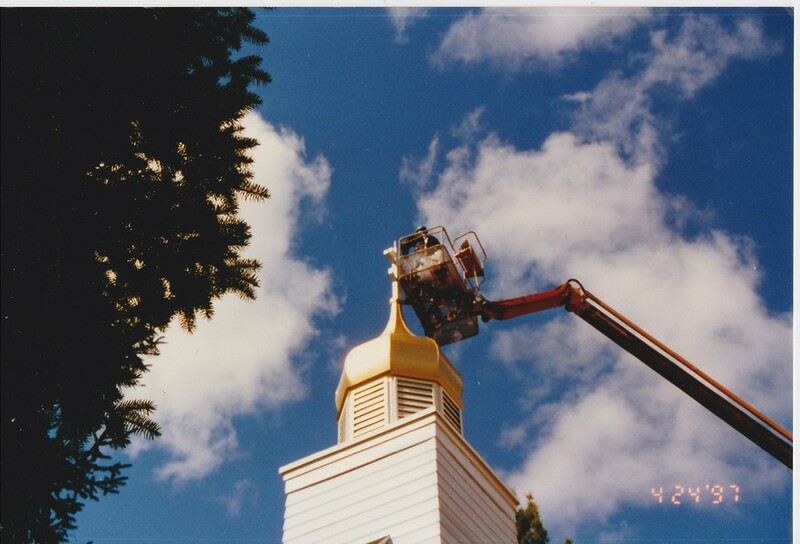 We would like to thank those parish members who have shared these pictures. 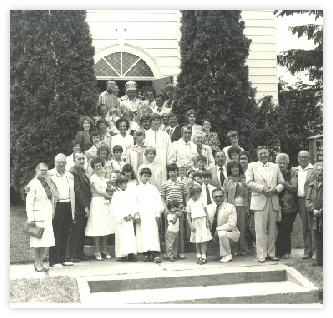 If anyone has any older pictures of the church and parish events they would like to share please contact the webmaster. 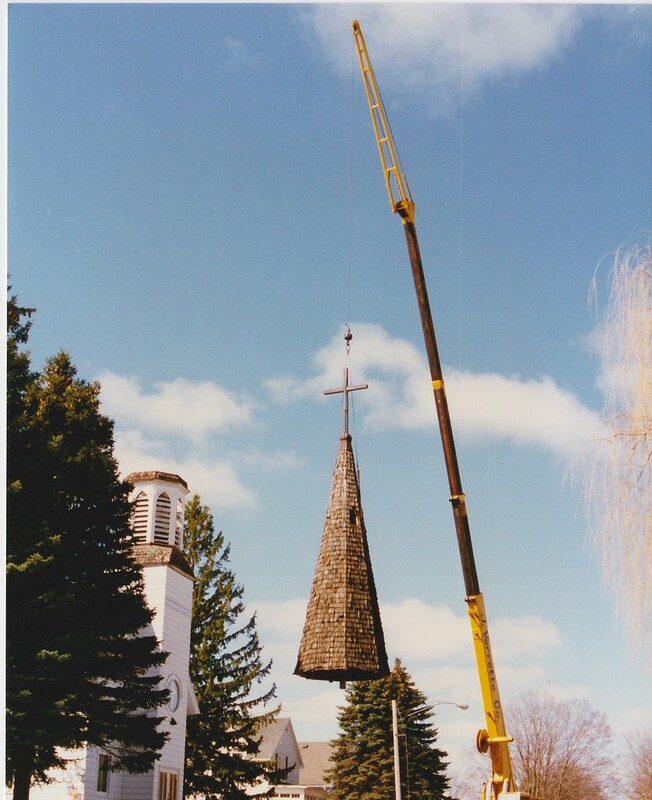 From 1937 to 1997 St. Mary's Church had a cedar shake steeple instead of the traditional Orthodox dome. 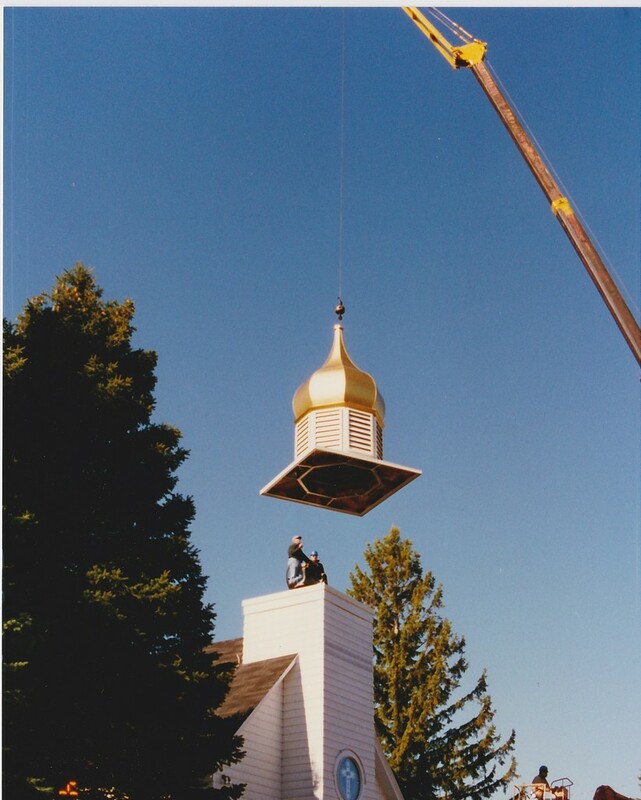 In April of 1997 we were blessed to have our Orthodox dome installed. Here are a few pictures from that special day. Years go by and memories fade. The following history has been revealed by Peter Massrouha and Helen Corombos. If, by chance, names are not included that should have been, we apologize. Times were rough, money was difficult to come by let alone save, but save they did — salesmanship helped also — coffee normally selling for 5 cents a cup was offered at 10 cents with all proceeds going to what is now “Our Beloved St. Mary’s”. Abe Khoury’s wife, Mary, and Sadie George, sister of Fadel George, embarked on a mission to procure their own Eastern Orthodox Church along with the combined forces of a small group of families: Mike and Sadie Abraham, Jake and Nora Jacobs, Abe and Tazeh Jacobs, Abe and Nazira Jacobs, Fadel and Mary George, Steve and Bessie Papas, John and Helen Corombos, George and Marika Corombos, Chris and Mary Anegon, Art and Penelope Mitchell, Mr. and Mrs. Rudy Rapaich, and numerous others. 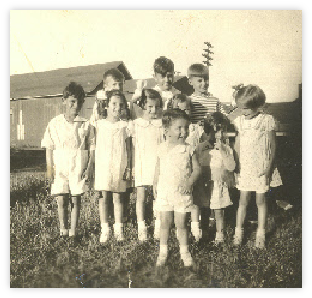 By 1936, the amount raised from social gatherings and donations grew to $387.00. Somehow this money was entrusted to a priest from Spring Valley, Illinois, who was passing through. Perhaps communications were lacking because the priest took the money with him when he returned to Illinois. As some will remember, Fadel George worked for the railroad and obtained a free pass for his sister, Sadie, to journey to Spring Valley, Illinois, where she successfully collected the money and returned home determined more than ever to expedite the founding of an Orthodox Church. 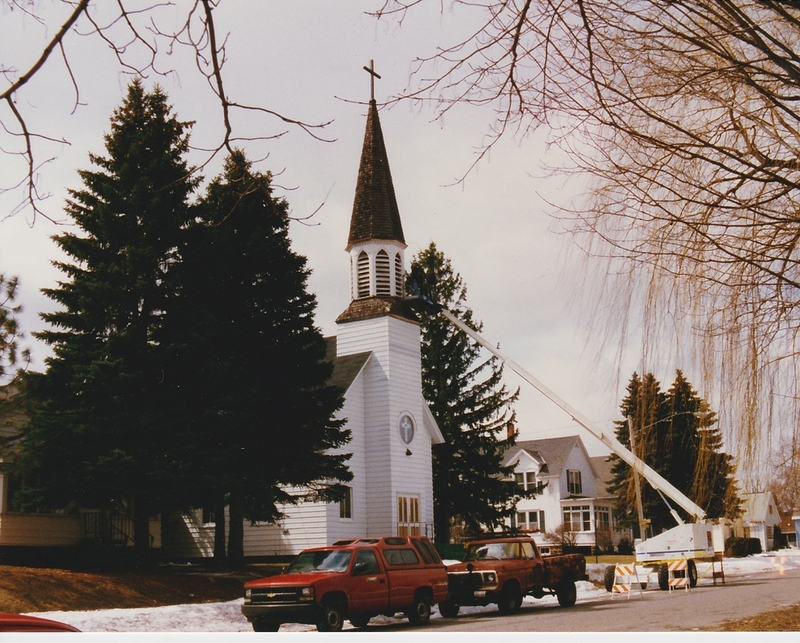 Our little church was purchased for $600.00 from a Lutheran Bishop in Escanaba, Michigan in 1937. 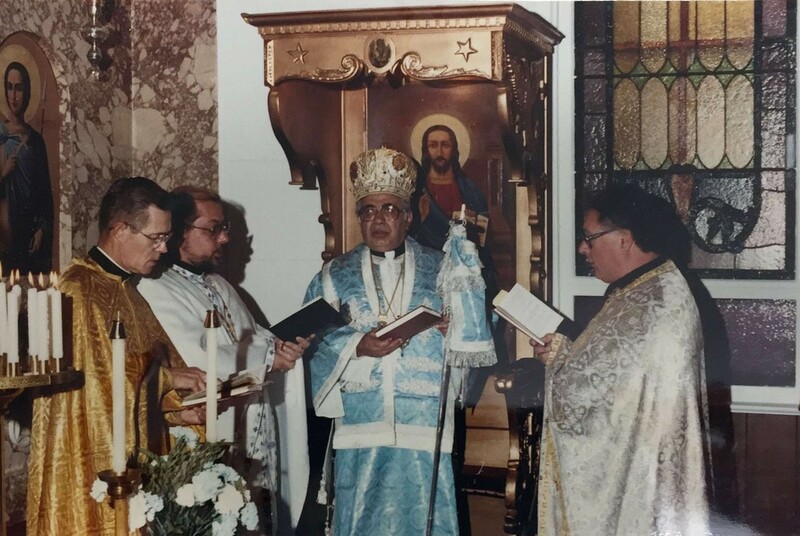 50 years later, in 1987, we celebrated our Golden Anniversary with His Grace Bishop Antoun presiding. Most certainly Our Lord gathered his flock and paved the way so those of Orthodox Faith could worship as our Forefathers had, Proudly, Sincerely, and Faithfully. Therefore, it is with Pride and Love we dedicate this book — firstly, to our Forefathers who have made this history possible, secondly, to those who now follow in their footsteps, and finally to those who will follow in our footsteps and keep the Faith that has been established in our “Miracle Church”. St. Mary’s first rectory, situated immediately adjacent to the church, was purchased in the early 1940’s for slightly over $3,000.00. Father Paul Schneirla, our Priest during this time, stimulated the fervor that made the purchase possible by donating $1,000.00 for the down payment. The balance was raised by the enthusiasm generated by our forefathers in Orthodox. Father Schneirla, our first resident priest, lived in Iron Mountain at the new parish rectory which he helped purchase with his most generous donation. Prior to our new rectory, he and his wife rented a small home across the street from the Mike Abraham residence on Wells Street. Father Paul was a shared priest with Ironwood. Sunday Church Service in those early days were held every other Sunday at Iron Mountain and Ironwood. Times were tough in those days, but those of Orthodox Faith were tougher. 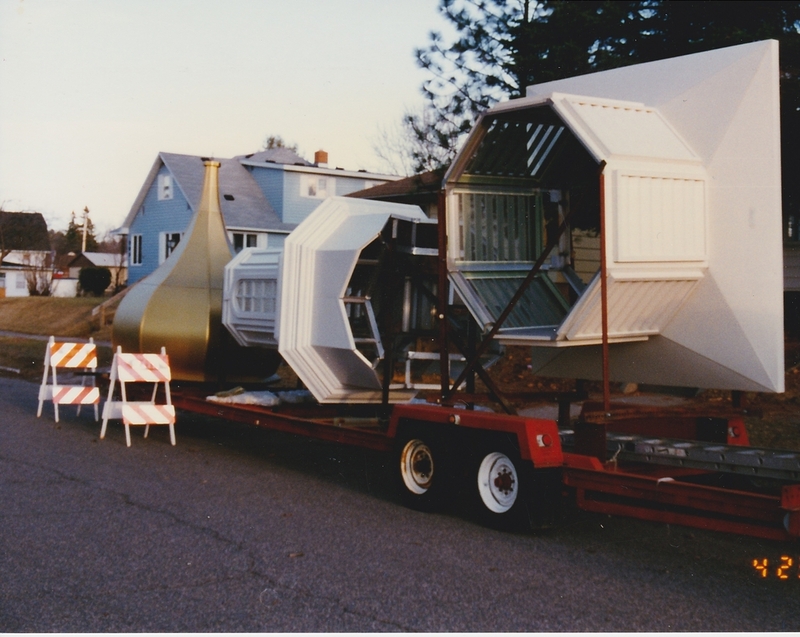 In 1986, St. Mary’s purchased a newer home for the Rectory. That parish home was located on Stockbridge Ave in Iron Mountain. 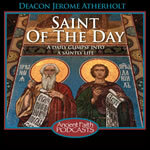 In 2002, The Parish sold the rectory and purchased a new rectory on Pine Mountain Road. 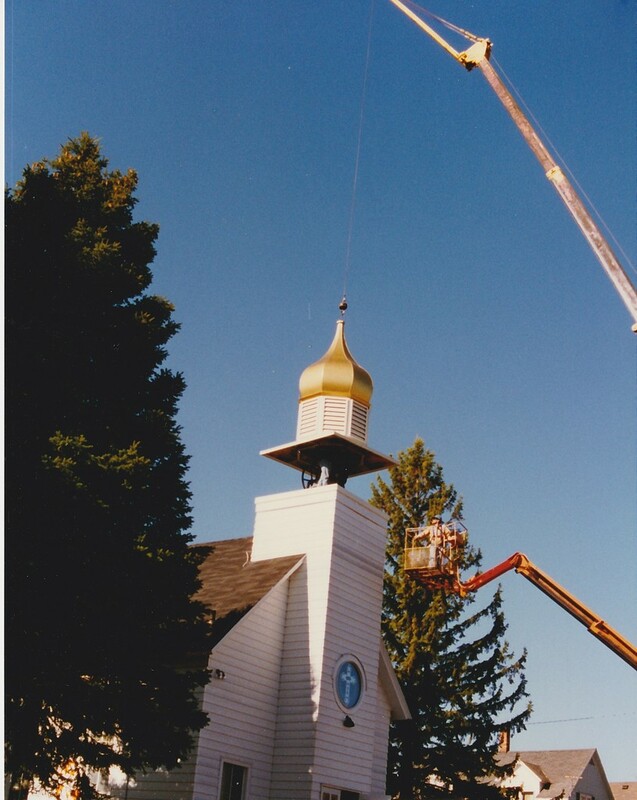 We thank God for the progress HE obviously spearheaded for the small but powerful St. Mary’s Orthodox Church.